"I was eighteen years old when I first watched David Lynch's Eraserhead. I found a beat-up VHS cassette at the library and decided to give it a try. Little did I know how lucky I was--at that point in time, it was out of print and extremely rare, so most rental and library copies of the film had been stolen. The cassette was in my car when a group of us were hanging out and looking for something to do. I mentioned I had this crazy movie that none of us knew anything about, and we ended up watching it. Minds were blown and lives were changed. With each increasingly bizarre scene, confusion and frustration ran more and more rampant. My friends yelled at the screen, "What is that thing? What's happening?" People were already heatedly arguing over the symbolism of the film before it was even over. Even as the movie ended, I knew that certain scenes would continue to haunt me. And that was how I felt when I first discovered Yume Nikki. Here was a game that was unashamedly ambiguous, making no real attempt to explain itself yet begging to be explored. It was a bottomless rabbit hole disguised as the simplest of adventure games, and its depths were full of pale creatures with rows of jagged teeth. If you are a gamer seeking something truly bizarre, experiential and full of psychological horror, Yume Nikki is the game for you..."
"Yume Nikki is a free adventure game about dreams. This game is still -technically- unfinished, but has a high level of quality in its current version (version 0.10) and can be played from beginning to end (the creator apparently wants to one day add more to the game). It originally came out in 2005, but it only started to get a lot of attention in 2008, when the game was picked up by the most popular Japanese gaming board, which helped spread it to even English-speaking audiences. The game has become big enough to inspire a ton of fan-made content, and official merchandise in Japan. In the game, you play as a girl named Madotsuki. The game takes a lot of visual inspirations from Mother 3, but has a completely open style of design. Initially to new players, there may be no clear goal. You start off in a room, unable to leave, but can fiddle around with things, or play a Super Nintendo game about eggplants, and eventually go off to sleep. When you sleep is when the game really begins, soon you'll find yourself in a room full of doors, each of which leading to completely different surreal area. You can explore freely, with a surprisingly large amount of deeper areas and doors hidden away to go even deeper into your dreams. Each area has its own train of logic you have to crack and figure out, like a dream. Soon you'll probably interact with a strange object or character and gain something called an 'effect'. Going to your menu, you can equip the effect and transform Madotsuki in some sort of way. Some of these effects give you special powers, some are completely aesthetic, but the goal is to collect all 24. However, not all is safe here in the world of dreams, as there are nightmare areas and stalkers of sorts who will try to catch you, and will wake you up from your dream the moment you're caught. The game has a lot of symbolism and does a great job capturing the feeling of a dream. It has inspired a TON of fan games and works, and remains one of the most popular RPG Maker games. 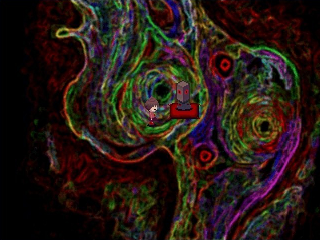 It has a lot of secrets hidden away in the game, and lots of surprises for those who decide to travel to Madotsuki's dreamscae. Worth checking out if you're a fan of exploring in games, surreal or 'experience' games, or if the whole concept just sounds intriguing. You can read up more on the game and download it from here." "Vampires are creatures that live amidst the darkness of eternal night. They have absolutely no regard for human lives and treat them like stones to be kicked away. One night, a girl was running in a forest while being chased by three bandits. Then a black-clothed man passed by and subsequently took them down easily. The girl, who thought she was saved by him, wanted to repay him and thus invited him to her village. Nocturne: Rebirth is a popular 10 to 20-hour (story-wise) JRPG originally created using RPG Maker XP in 2009 by Shou (or Cogwheel) and translated into English by me, eplipswich. It is actually the remake of the game Nocturne created using RPG Maker 2000 way back in 2002. The differences between the two include new graphics and a new battle system, with only the story virtually unchanged. This version serves as the English version of Nocturne: Rebirth. It is also my second game translation after Seraphic Blue. "